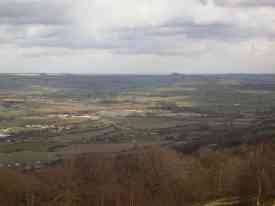 Many of the rocks of the Leeds area have played an important part in its economic development as well as its natural one. The tough nature of the Millstone Grit sandstone has made it a prized building stone. 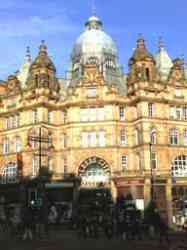 It has been used in the construction of many of the older buildings in Leeds: Kirkstall Abbey, the Town Hall, Corn Exchange and Mill Hill Chapel being some of the best examples. Extensive workings used to exist at Bramley, Newlay, Horsforth, Meanwood and Weetwood. However the only quarry working the stone today is at Bramhope. The remains of a small working are still visible in Roundhay Park. Sandstones from the Coal Measures have been widely quarried in the past for building stone. With grain sizes smaller than those of the Millstone Grit they are more suitable for carving and their closer bedding makes them better for splitting into smaller blocks for lintels, doorsteps and paving stones. 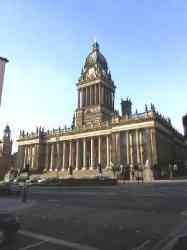 Leeds Market shows fine examples of the carving that can be achieved with this rock. Muds and clays of the Coal Measures provided material for making the bricks that have largely replaced building stone. Terracotta and ceramic industries also flourished using the same local resource. 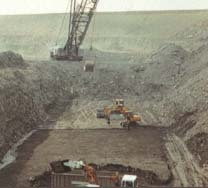 Although all underground working of coal has now ceased in Leeds, there remain a number of opencast operations. The Magnesian Limestone has been worked from small quarries for use as a building stone and to be burnt for lime for agricultural purposes. The stone has not only been used locally in villages such as Bramham and Aberford, but has been worth transporting considerable distances. 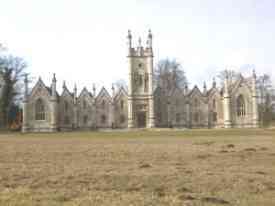 Most of York Minster comes from a quarry near Sherburn and it was also used in the construction of Eton School. Today a large quarry at Micklefield works the stone for aggregate. The youngest geological materials in the vicinity of Leeds are those left by melting ice. Sands and gravels deposited by meltwater streams are common in the lower parts of the valleys of the Aire and Wharfe where they are dug from open pits for the construction industry. When abandoned these pits flood to form lakes.